It is time to start the discussion of our next novel from The Bestseller Code 100 list, The White Tiger by Aravind Adiga. Summary: An example of an epistolary novel, main character Balram Halwai writes about his rags to riches story as he leaves behind his impoverished Indian village to establish his own taxi business. Although Aravind Adiga was only 33 when he published this debut novel, it won the Man Booker Prize in 2008. Have you read The White Tiger by Aravind Adiga? We’d love to hear your thoughts. 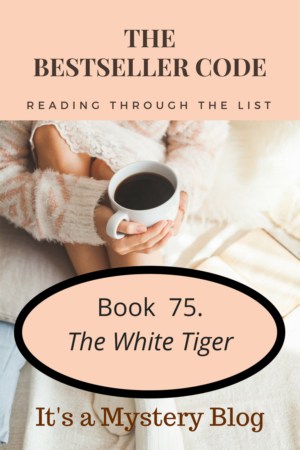 Have you written about The White Tiger by Aravind Adiga? Feel free to add a link to your review here.